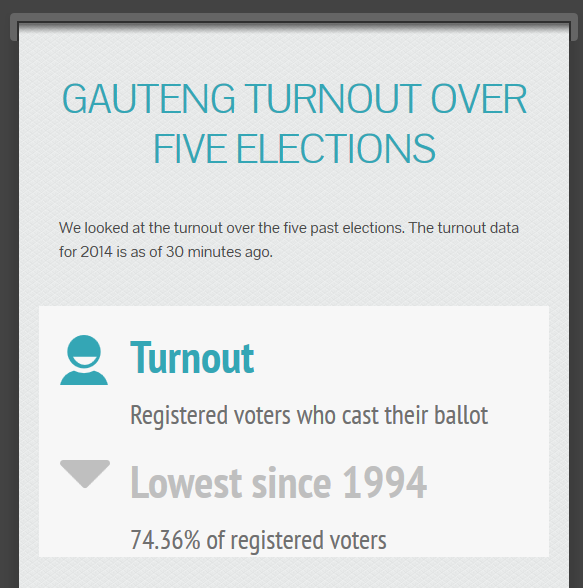 As of early morning Thursday 8 May, turnout figures for Gauteng look bleak despite the intense and controversial campaigning efforts by all parties in the last months. This year saw the election period fought out vigorously both in traditional and digital media, particularly Twitter and YouTube. 2014 turnout is at its lowest, 74.36%, over the five previous elections.